Memnon was the pupil, protégé, and adopted son of Herodes Atticus, a Greek aristocrat and sophist who served as a senator of the Roman Empire. He was named after the mythological Ethiopian king Memnon who fights alongside the Trojans in the Trojan war. The son of a human prince, Tithonus, and Eos, goddess of the dawn, Memnon is killed by Achilles, but then granted immortality by Eos. 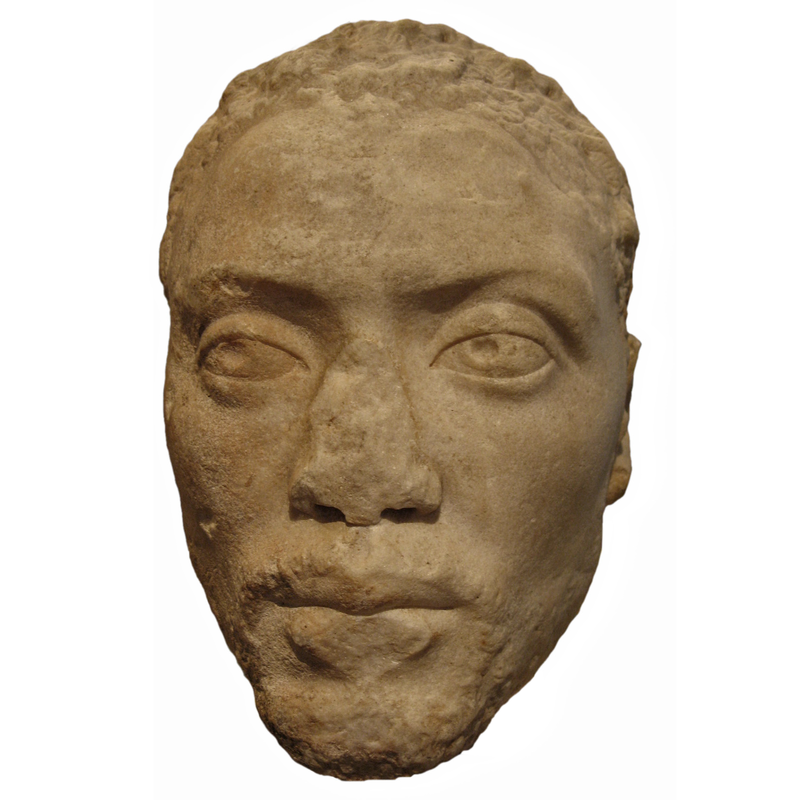 This entry was posted in Uncategorized and tagged 2nd Century, Africa, Ethiopia, Greece, Mythology, Portraits, Sculpture. Bookmark the permalink.